From Lebuhraya Sprint, turn left at the road right before Phileo Damansara II, into Jalan Dato Abu Bakar. Go straight until you come to a crossroad with Jalan Universiti and turn right. Go straight, take the right turn just before the Rothman roundabout into Jalan 17/45. Turn left and you'll see Organic Leaf at the corner. Our society is becoming more and more health conscious and with so much processed food in the market, it’s no wonder a demand for healthier and organic food are on the rise. 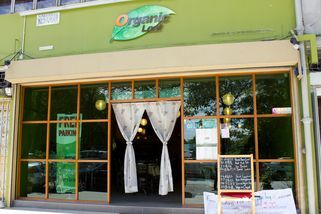 Organic Leaf at Section 17, Petaling Jaya is one of the restaurants to answer the plight for healthier meals. 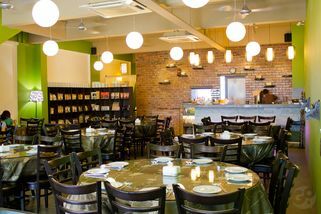 Chinese style vegetarian dishes and organic ingredients are the core of Organic Leaf’s identity. 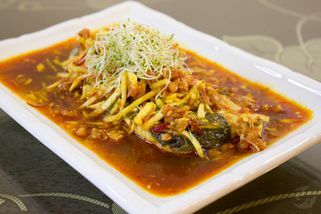 As with most Chinese style cuisine, most dishes are available in two sizes: small or large. 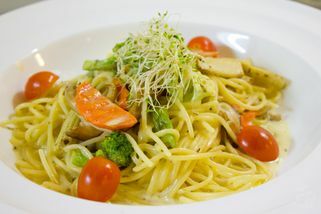 To cater to the more modern palate, Organic Leaf also serves pizza, pasta and western style soups. 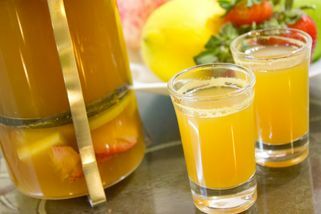 The chefs here recommend their signature Fruit Tea; a warm beverage brewed with several fruits to complement your meal. Just had a potluck party on last Friday. 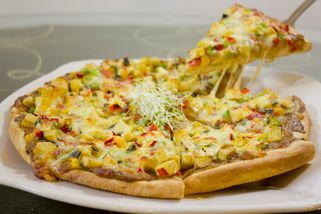 I tapao 1 regular Hawaiian Pizza, 1 regular Pizza & Vege Satay from here. All my friends love the pizza very much. 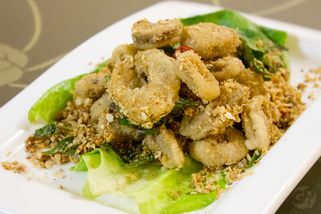 It is the best choice I choose..^^ the food delicious and prices very reasonable and something to suit everyone.